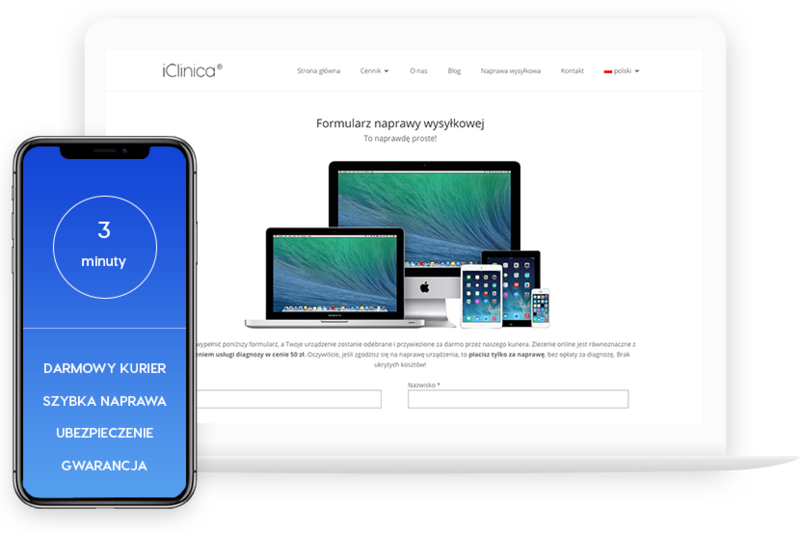 iClinica.pl - Professional service of Apple | +48 666 666 317 Call now! 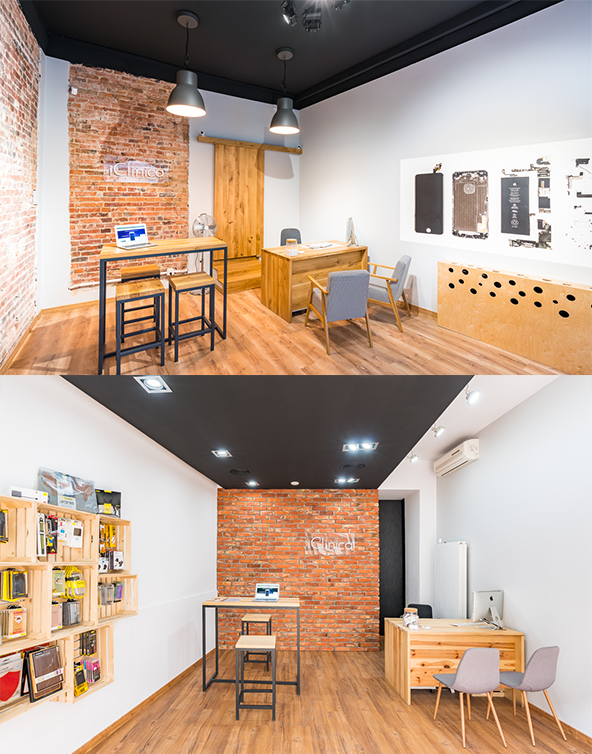 iClinica is a service dealing with equipment repair since 2009 throughout Poland. We care for smartphones, tablets, music players and computers, as a part of post-guarantee service. We specialize in Apple mobile devices, i.e. 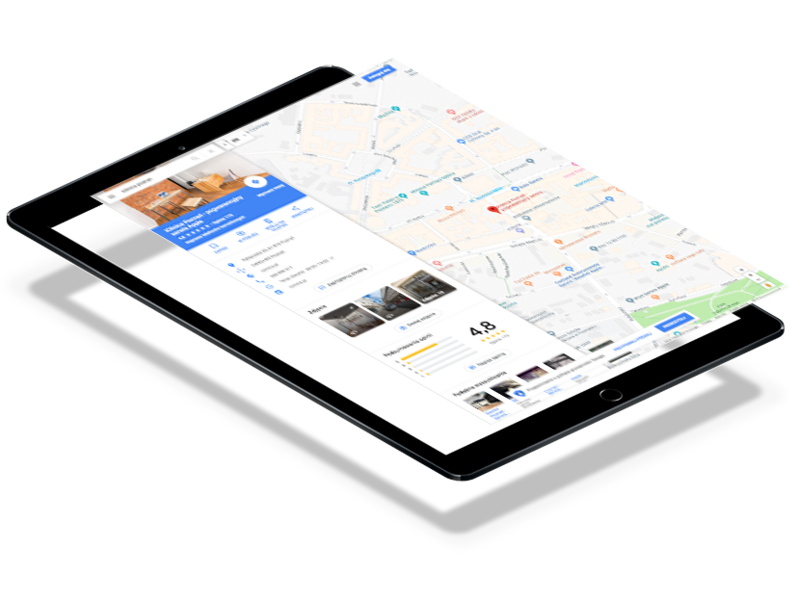 iPhone, iPad, iPod & Macbook, and provide repairs including replacement of display units, glass, microphone, case, battery, charging connector, or cleaning after liquid gets into your device. In our offer, you can also find accessories for these products and protective glasses, both typical and 3D. iClinica quarantees the best quality! Fast, professional service and original parts are a standard of our work. We certain of our services and this is why we grant quarantee for every repair for 3 to 6 months! No need to keep the receipt – we have all information in our system. We open five days a week in our service points and on the phone. We will answer all your questions about Apple products. Order your repair in 3 minutes! If you are unable to bring your device to our service, choose the option of free shipment and delivery. You need 3 minutes only to complete the form. You pay only for the services. No catches! After we receive your order, our service engineers diagnose the problem at once and then repair the device. All conditions are updated in our system. Miła obsługa, szybko i w bardzo przystępnej cenie. Miałem zalanego iPhone 6. Następnego dnia miałem go już naprawionego ze wszystkimi danymi. Polecam! Zdecydowanie polecam serwis iClinica z ulicy Nowowiejskiego w Poznaniu. Naprawiają każdy, mój miał rozbity ekran i nie chciał sie uruchamiać do tego był po innym serwisie a nie każdy weźmie taka odpowiedzialność. Dołożyli mi jeszcze nowe etui gratis bo poprzednie było zniszczone. Cena też umiarkowana i dopasowana do roboty. Zdecydowanie polecam.